Company Picnic Season is still in full swing here at Faulkner's Ranch! So far we've given you tips on everything from food to games to beating the heat. Door prizes, raffles, and game prizes are great way to encourage your company workers to join in on the fun! However, those prizes don't magically appear out of nowhere (that would be awesome though.) Someone has to gather them for your event. We advise our clients who are interested in giving away prizes at their picnics to put either an individual or committee in charge of finding all the goodies. Here are our top 4 tips for selecting your company picnic prizes. 1. When it comes to selecting your prizes, think in terms of services, corporate perks, products, and paid time off. Services: spa days, car detailing, house cleaning, photography sessions, gym membership, lawn service, etc. To acquire these try contacting local service providers to donate a set amount of their services. In return, you can provide free advertising and publicity for their business at your event. Corporate Perks: Does your company have access to box seats or special season tickets? Use them as door prizes! Things as small as getting to park in the head honchos spot for a month will get employees excited. This type of prize is especially useful if you don't have a big budget to buy new items. 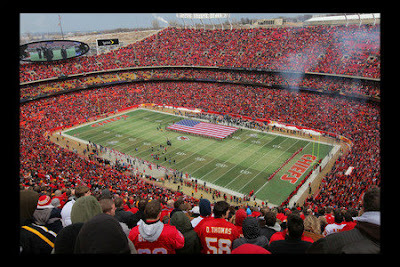 A chance to win season tickets to the Chiefs? Oh yeah! Products: Let's be honest, who doesn't like to go to a picnic and walk away with a new flat screen TV? Not every prize has to be huge in size, but a few big prizes can really motivate turnout. Don't forget smaller prize fillers though! Company swag, gift baskets, small electronics, gift certificates, hotel stays, movie passes, and DVD's are all great ideas as well. 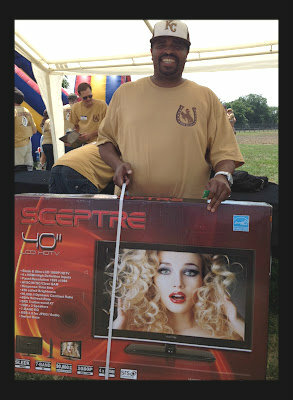 Nothing puts a smile on a guest's face like walking away with a brand new 40" flat screen TV! Paid Time Off: For am employee party, choose a door prize that is valuable to everyone: paid time off! Because door prizes are not performance-based, everyone has an equal shot. Want guests to show up to your picnic? Trust us, the prospect of an extra vacation day or week can be a powerful motivator. Can't get paid time off approved? Cash is another great incentive that can replace it. 2. Think from your employees perspective. What do they like? For example, do you always order out for Jimmy John’s or some place like that? Then how about a gift certificate for a few free lunches! Do a majority of your employees enjoy golfing? 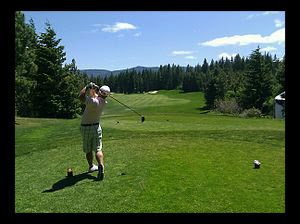 Give away a few gift certificates for a day of golfing at a local golf course. 18-holes of a golf at a local course makes for a great door prize! Don't forget about your company's sponsors and vendors. You'll be surprised what they will donate if you just ask. Have fun with it! After all, you're going to help make someone's day when they hear their name called as the winner! For a fantastic example of using prizes to motivate your guests and show appreciation, check out the highlights from Shick Company's picnic at the ranch. We hope that these tips help as you plan your company picnic at Faulkner's Ranch! Don't have one planned yet? Then just click here for all the details! After all, it's not too late. We can plan a party overnight! 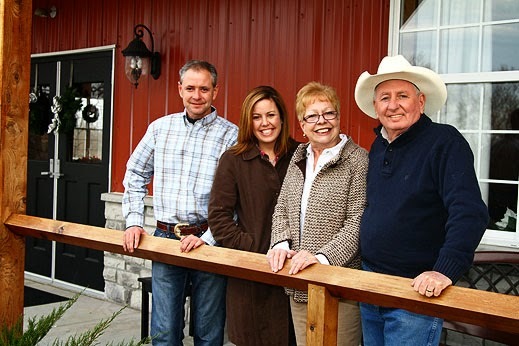 Hope to see you soon out at the ranch! PS - Wanna read some more picnic tips? Click here!